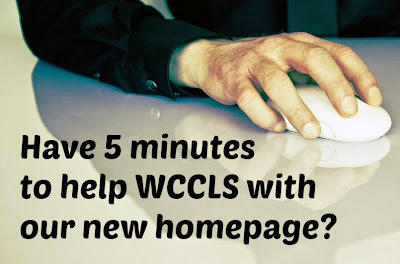 WCCLS: News & Events: Help us organize the new WCCLS homepage! Many thanks to everyone who has participated in usability testing for our new website so far. Here's another opportunity to make your voice heard! 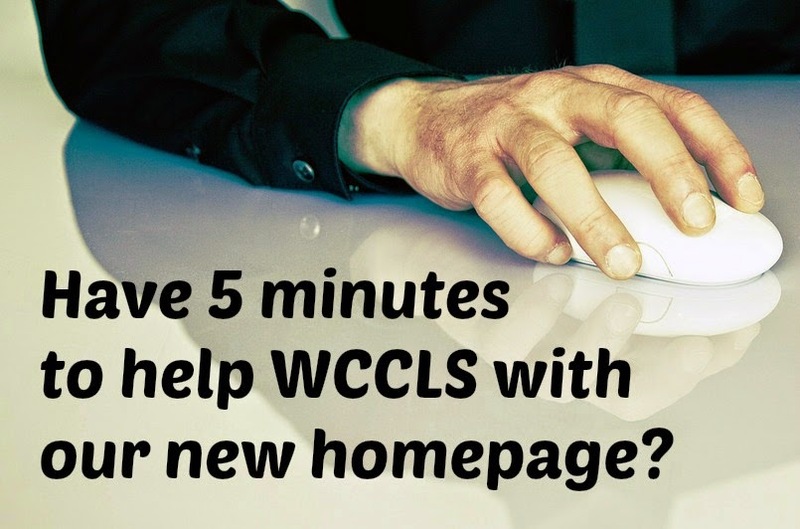 In this exercise, we are asking you to imagine that you want to complete certain tasks on our website. For example, "you want to know if your library is currently open." Then you simply click on the page where you would look first. There are no right or wrong answers. We have selected 15 scenarios for testing, but you can complete as many as you have time to do. You'll also get a sneak peek at the current draft of our new home page! Thank you for your time and assistance.